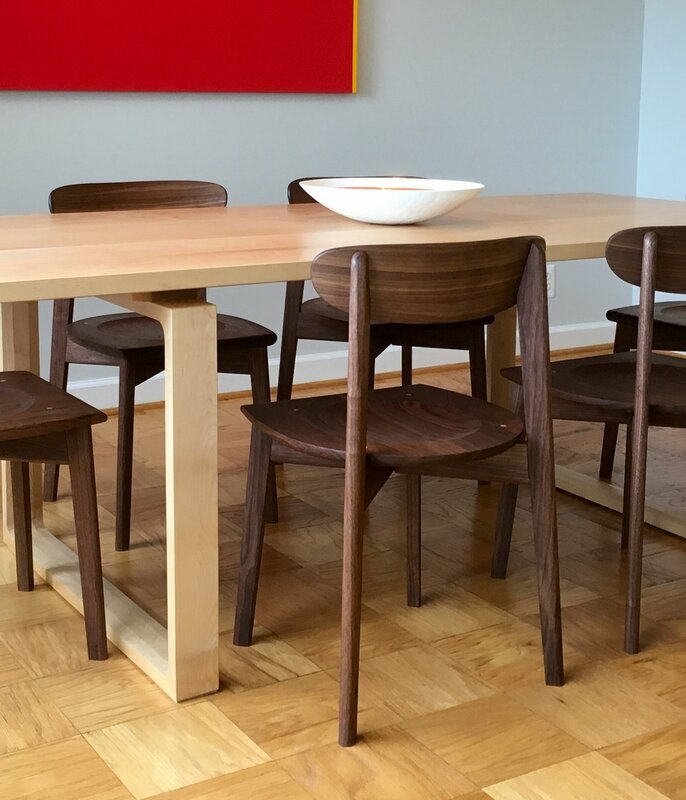 The unique design of the Ariana Chair draws from the mid-century design language. 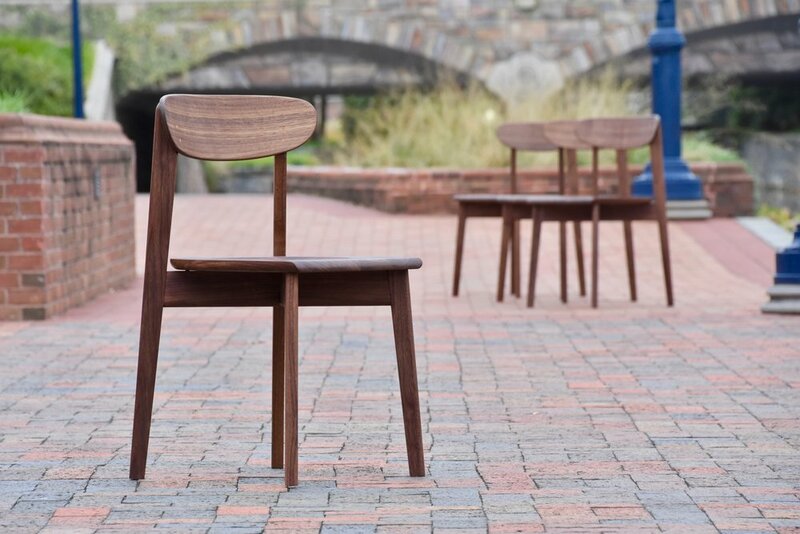 The chair as shown is crafted from solid American black walnut, using mortise and tenon joinery and bull-nosed edges. The sculpted seat and ergonomic back rest are designed to provide exceptional comfort, for relaxed dinners and leisurely conversation. The Ariana chair complements the Ariana dining table and the Ariana sideboard.